Whilst so much that we buy can easily be done over the internet, there is something inescapably magical about plunging into a children's book shop. We have always loved reading and want to transmit that love to our children too. Here are a few of our favourite children's bookstores and bookstores that are particularly child-friendly. We'd love to hear where you like to go too. The aptly named Children's Bookshop is a family run business which is all about inspiring children to love books. Captured neatly on their website: they are committed to "getting the right book to the right child". It is certainly a shop which encourages you to linger and search, from the latest glossy books on display to the rich selection stacked within the shop. They have regular and often high profile book signings- North London Mum stumbled across a book signing by Lauren Child and could barely contain her own excitement! 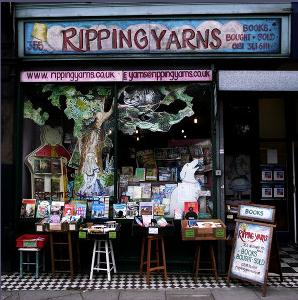 The shop was shortlisted for the 2011 Walker Books Children's Independent Bookseller of the Year Award. Almost grotto-like when you enter, Bookworm is an inviting shop for kids to explore and spend time reading the huge range of books on offer. The knowledgeable staff are happy to make suggestions or point you in the right direction. The shop has storytelling for toddlers every Tuesday, Thursday and Sunday at 2pm and often features visits from authors.They have a very good educational section too and last week we bought a super book about how the body works, which is really useful for answering constant WHY questions. Find out more about Bookworm here. This is a real favourite with locals and for good reason. It stocks a good range of books for all ages, and in particular has a great section for kids. The shop also hosts a range of events, readings and signings on a regular basis. For something different, visit Ripping Yarns in Highgate. This is a second-hand bookshop largely devoted to old children's fiction-from comics and annuals to boys' and girls' adventure stories. Spend time unearthing all those old classics from your childhood! I used to love coming here when I was a child and remember walking home with my purchases and being so excited to get reading. I only hope my children feel the same about books one day. This gem in Wood Green was opened after the big chain store its owners worked in Wood Green closed, leaving the area with no dedicated bookshop. It is now a firm favourite with the community and runs lots of lovely events for children including a dedicated children's book group on Saturday mornings. 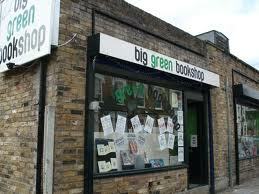 Follow on twitter @biggreenbooks for updates on events and a wry report on life in Wood Green. Another North London Mums favourite are Englands Lane Books in Hampstead and West End Lane Books in West Hampstead. 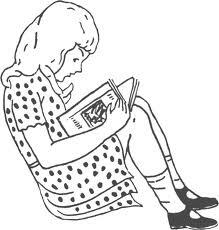 Apart from having excellent children's book sections and being super child friendly, they also have fantastic events for children including recently a visit from Maisy herself and coming soon on 1st March Jill Murphy author of 5 Minutes Peace (a favourite) and The Worst Witch. There is also storytime at Englands Lane at 11am on Monday and 4pm on Friday and at West End Lane on Thursdays at 4pm. Have you got any other children's bookstore gems to recommend? Do let us know!